A person should gamble every day, because think of how bad it would be to walk around being lucky and not know it. 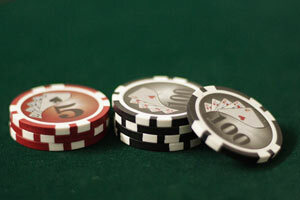 Add-on – When players are allowed to purchase more chips in a tournament (not used for free online poker). Beat Your Neighbor – A game with five cards in which every player has to take turns to expose their cards until the hands are beaten on the board. Check Cop – A paste used by a online casino player who cheats and used to hold out cards or to steal chips. Dominate – A starting hand which is likely to be better than the others is said to dominate that particular hand. Elimination – Similar to Cincinnati, but the cards that match the table cards are supposed to be discarded. Flash - (1) To show hidden cards (2) To draw a common card that can be used by all players when there aren’t enough cards for the completion of a stud game. (3) One card from every suit plus a joker, total of five cards. Game Pace – Bets placed on different hands as opposed to normal bets placed on those hands. Hilo Pocalo – A five card stud where the up cards could be refused and can be passed on to the player on the left. (Take It or Leave It). Intentional Flashing – Showing one’s concealed hands to an opponent on purpose. Low Poker – Poker where the lowest hand would win seven, five, four, three and two would be perfect low hand. Money Flow – The amount, pattern and the direction in which money passes between players in any game. Measuring the money which can be lost or won for one unit of time. Northern Flight – Except for when a spade is in the cards, an all hearts wild seven card stud. Open-ended Straight – A straight draw would be open ended if it would consist of four A straight draw is open-ended if it consists of four successive cards that does not have an ace. Peeker or Peeper - (l) A player who would look at the cards of an active player. (2) A player who would cheat by peeking at the cards that haven’t been dealt yet. Razz - (1) a lowball seven card stud. (2) Draw poker where the player who won the previous pot would bet last. (Gardena Razz). Scarne Cut – Cutting by pulling cards from the center and placing them on the top of a deck. The Diamond – A measurement of how ideal a poker game is for a good poker player. Undercut - (1) The last down card which would be the lowest hole card in a stud low-hole. (2) A technique for shuffling the cards, especially good when using two stacked hands at a time. To get your user name and password, register using your access code. Don't have an access code? Click here to get one. Subscribe to the Poker Newsletter for poker news, tournaments, strategy, tips, and more. 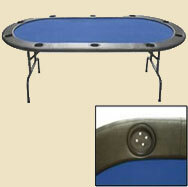 in distributing poker parts and supplies like poker tables and poker tabletops.